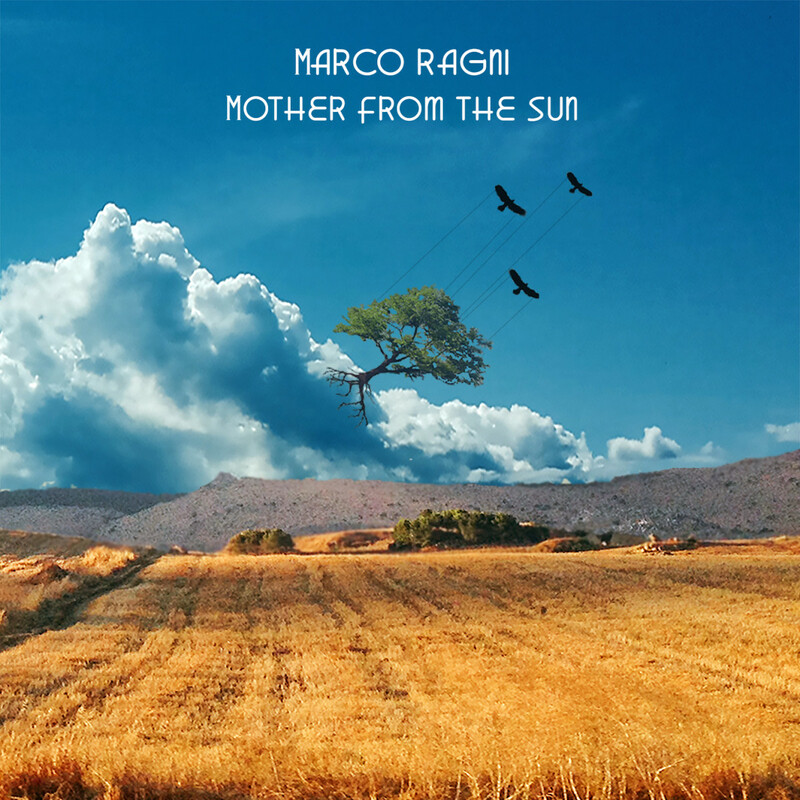 If you haven’t heard Marco Ragni’s music yet, then you might just be missing out. I have five albums of his (two EPs, two full-length albums, and one double disc) and he remains quite consistent, though by consistency I do not mean that he’s in any way limited to a narrow soundscope. To give you an idea, think of the Pink Floyd albums A Saucerful of Secrets, More, Ummagumma, Atom Heart Mother (side two), Meddle, and Obscured By Clouds as major inspirations. Add to this the late sixties California hippy scene and the fact that Marco is Italian, and you have three strong foundations for a unique blend of psychedelic music with folk and funk and classic prog. Marco’s EPs are more like tangents sprouting off his core collective of musical musings, while his full-length albums firmly map out his territories. His 2014 double-disc release, “Mother from the Sun” was his magnum opus, he claimed around the time, though honestly, I see no stopping this guy, who just released his latest masterwork, “The Wandering Caravan” and is already composing something new. If you are going to get into Marco’s music, perhaps “Land of Blue Echoes” or the latest album will be easier to digest, but if you are sure Marco’s music is something you dig, then welcome into your home this double-disc heavyweight that is “Mother from the Sun”. I’ll admit that the first two or three plays were a lot to properly digest. That’s largely because I listen to music while commuting and that means a lot of walking and train riding, so it’s easy to become absorbed in thoughts of upcoming must-dos or seeing what’s up on social media to pass the time. Because some tracks are epics ranging from 15 minutes to 22 minutes with several changes in the music while many others run by in under two minutes, it’s easy to become lost in the overall atmosphere and not really notice when a track begins or ends. At first, I felt it was like traveling through a musical world engulfed in a earthly haze while various solid objects appeared, captured my attention, then passed by. But this week I have been listening more carefully and I have found the true wonder of the musical landscape was laid out clear for me to enjoy all along! Without describing each track in detail, you’ll find beautiful cascades of acoustic guitar notes, funky classic seventies organ, psychedelic fuzz-toned slide guitar, sit-by-the-seaside hard-picked acoustic guitar, washing waves of classic Pink Floyd organ chords with echoing guitar notes, solidly driving psychedelic rock, and trippy passages. Marco can make you strut and sway, sit back and space out, groove to the music, float on a cloud, or see everything in quadruple. This is true for his music overall, but “Mother from the Sun” is indeed a musical trip that rewards the careful listener much more than the casual listener. I’d say that there’s gold in them there hills, but that would be stealing a line from his “California” EP.